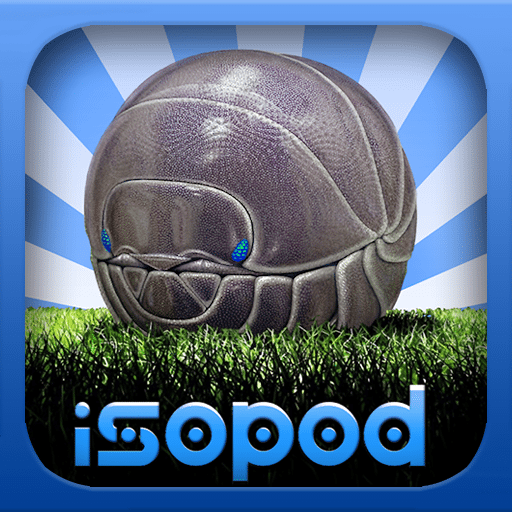 Isopod: The Roly Poly Science Game is a good fit for classrooms or home. This iPad app proves that science is anything but boring. 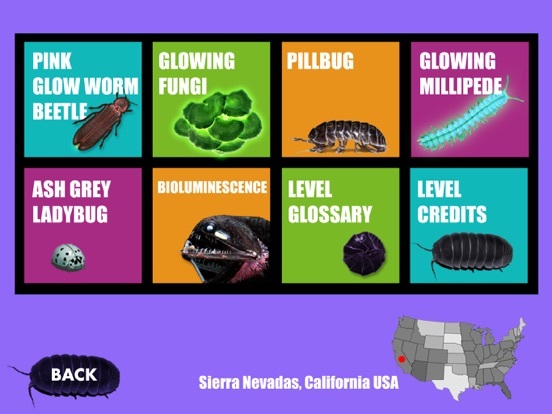 It’s an entomology textbook and game all “rolled” into one. A note to parents and educators, this app is best suited for kids ages 10 and older. The learning center, or text portion, provides information regarding science topics such as beneficial insects, invasive species, impact on agriculture and the environment, biodiversity preservation and more. Narration is available in the learning center; it is clear and easy to understand. Both the learning center and game include four environments; Santa Cruz, California, Cape Town, South Africa, Brisbane, Queensland Australia, and Sierra Nevadas, California. The learning center environments are then broken down into more specific sections. 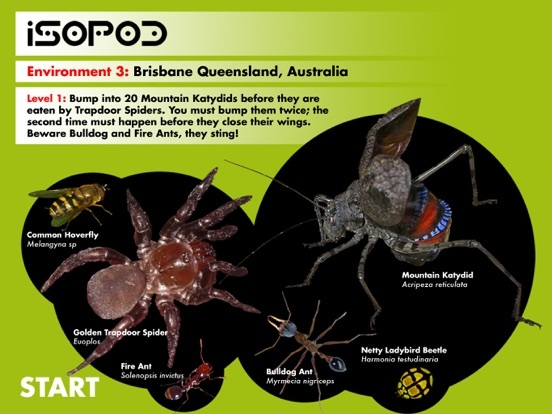 In the Brisbane section you will find information on the mountain katydid, common hoverfly, bulldog ant and so on. Each learning center section includes a level glossary and credits. Each game includes three levels; levels becoming more difficult as you progress. Be sure to read about the game; it is important to know which bugs or spiders to bump into or to avoid! The games are played by tilting the iPad. Tilt options are available in the Options menu. Topics can be unlocked through game play or you can purchase the Teacher’s version through an in-app purchase. Each time you win a level, new information becomes available in the learning center. In-app help is included on the main screen. A method for pausing or exiting the games would be helpful. The app does contain an in-app purchase and external links; including links to Facebook, Pinterest and a web site for the app. It is important to note that the Facebook and Pinterest links do not require users to log in prior to viewing the information. Additional information is available through both sites as well as on the web site for the app. A free curriculum download is available on the app’s web site. 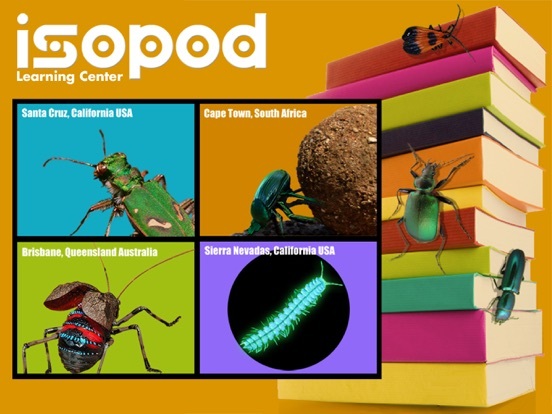 Isopod: The Roly Poly Science Game is a unique app that mixes “tilt-physics” gameplay with robust science education, using insects as a way to explain a number of life science topics. 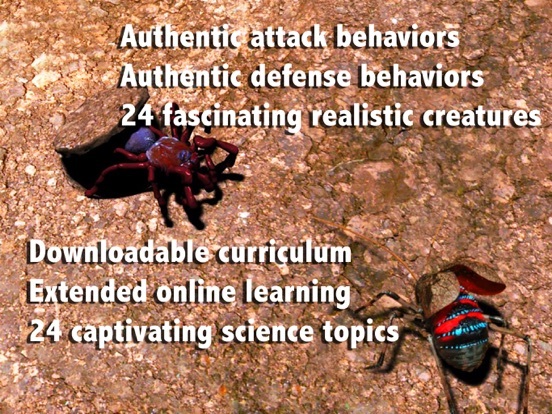 The game itself asks the player to rescue, not squash, a variety of interesting insects, each with it’s own story and data, written by entomologists, biologists, teachers and researchers. Also included is a free download of 60 pages of puzzles, quizzes and other pen and paper goodies, as well as a huge Pinterest board covering every topic in the game in great detail, from TED Talks to whole websites dedicated to the subject matter. The level of content is exceptionally high, with subjects such as insects in medicine, agriculture and other global impact topics woven together in a comprehensive unit of study. But the real appeal to the target audience (10-16 y/o) is the faced paced, and often intense gameplay skill needed to pass each level. Kids love it, and parents feel good about it.